As seen just off Cremer street across the road from Hoxton overground station in London's east end. 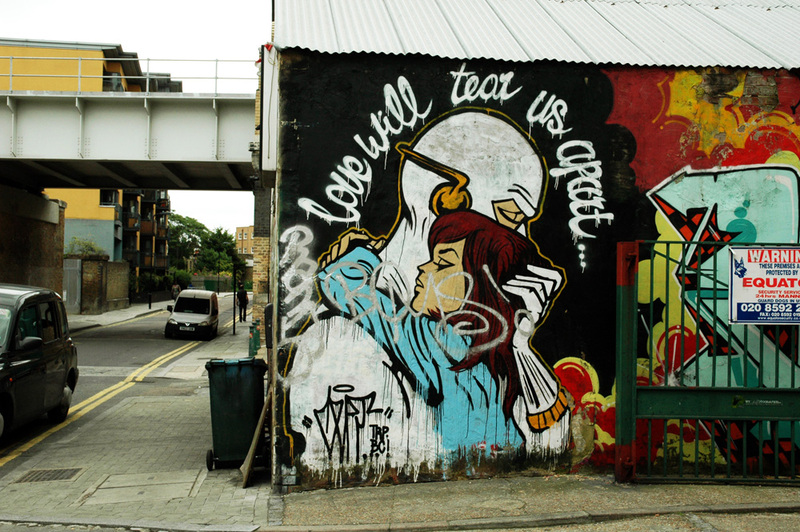 This amazing piece uses the words from Joy Division's 1980's song 'Love Will Tear Us Apart' and is the creation of a graffiti artist called Cept. The same words are also inscribed on lead singer Ian Curtis's memorial stone.